Did 3D Printing Help the Seahawks Win the Super Bowl? 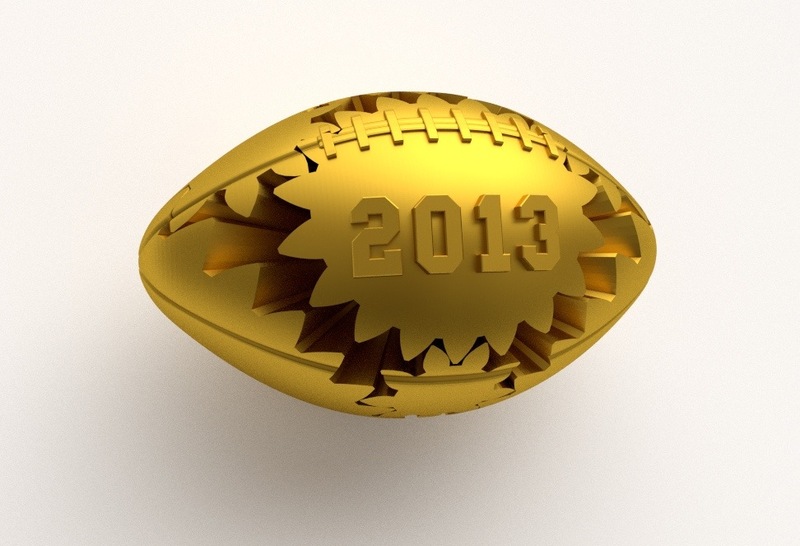 Sunday’s Super Bowl wasn’t much of a game and maybe 3D printing had a little to do with it. It seemed like the Seattle Seahawks defenders were everywhere and Percy Harvin ran like he had a rockets on his back. For the Super Bowl Nike released the new Nike Vapor Carbon 2014 Elite Cleat the was designed and tested using 3D printing. This cleat was designed for speed, but not just speed in a straight line, but speed for “aggresive cuts” and “multi-directional explosiveness”. According to Nike’s recent press release, “Producing a cleat through more traditional prototyping methods would have taken three years, however 3D printing technology allows Nike to drastically accelerate the design and testing process.” Nike has placed a great summary video about the 3D printing design process on YouTube. This cleat was preceded by the Nike Vapor Laser Talon, the first 3D printed cleat of its kind, that was so dominant that 7 of the 10 fastest players in last year’s NFL Scouting Combine wore it. We made an attempt to reach out to several players through Twitter for comments on how the cleat felt, but we imagine they’ve been pretty busy with victory parades and the such.